Italian snack manufacturer Preziosi Food (Mitica) integrated new frying, seasoning and packaging systems from tna to launch a new line of batch-fried potato chips. Looking to invest in a brand new line for batch-fried chips, Preziosi Food needed a high performance frying system that efficiently cooks thicker potato slices and delivers the ideal color, texture and flavor for the perfect chip. The company chose tna’s FOODesign and its automated, direct-fired batch-pro 12. Ideal for cooking a range of root vegetables, including potatoes, the system’s continuous oil filtration system helps remove both fine and large particles to ensure Preziosi Food’s chips are cooked in the freshest oil possible. When cooked, potato slices take 23% of the oil, as 77% remains after the batch is complete. The remaining oil is subsequently filtered out and blended with fresh oil to return levels to 100%. Along with continuous oil circulation, full temperature control is also maintained through constant and zone control systems, essential for optimal heat regulation in the cooking and frying process. 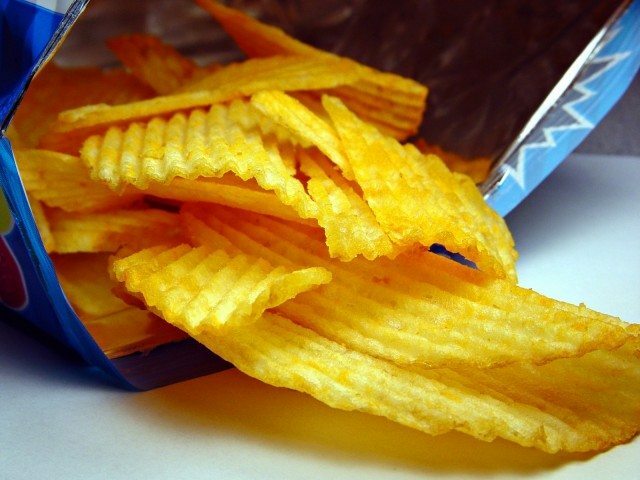 As such, overheating of the oil, and any subsequent caramelization and browning of the product, is prevented, and the company is able to achieve a consistent chip color. With the system’s quick heat recovery capabilities, it optimizes production by ensuring the oil returns to optimum frying temperature quickly and efficiently. As a result, Preziosi Food now processes 230 kg/hour of finished product. Meanwhile, tna installed its on-machine seasoning (OMS) system, the tna intelli-flav OMS 5, to apply seasoning to Preziosi Food’s salted range of batch-fried chips. With a responsive variable mass seasoning mechanism with dynamic vibratory weigher, the unit directly controls oil spray and powder flow into the drum. Further performance benefits are achieved through the enhanced position of the scarfplate on the infeed. Mounted to the edge of the drum, the scarf better directs the product into the spraying and flavoring area, providing even seasoning for every batch of chips. Additionally, the scalloped infeed conveyor design allows more product to enter the seasoning drum, while also helping to control product direction for greater seasoning accuracy and reduced waste. The snack factory also installed the tna robag with speeds of 180 bags per minute (bpm) while offering efficiencies of up to 99% of target output. For Preziosi Food, adding the tna robag FX 3ci to their production facilities meant doubling productivity. The unit enhances packaging accuracy with a rotary jaw design that uses impulse sealing technology.